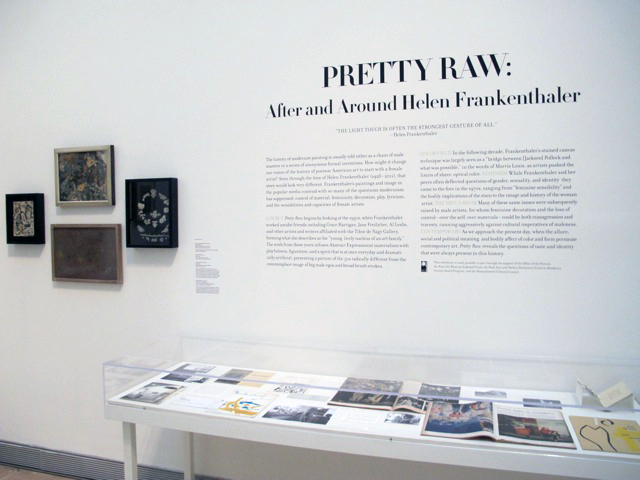 Pretty Raw: After and Around Helen Frankenthaler. There’s only a few days left until this exhibit comes down but it’s worth making an effort to get to the Rose Art Museum at Brandeis University in Waltham, MA. Hats off to curator Katy Seigel who has curated a sophisticated contemporary exhibit with a feminine sensibility. Centered around the art of Helen Frankenthaler (1928-2011) it features contemporary artists for the past 50 years. Art history is predominantly defined by male historians and this fresh, new perspective gives a woman’s point of view. 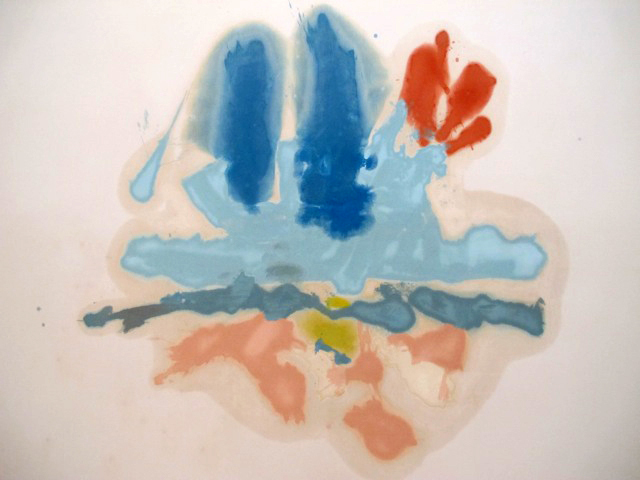 ‘Hommage a ML’ by Helen Frankenthaler. Helen Frankenthaler’s oil on canvas entitled Hommage a’ ML, 1962 is the focal point behind the exhibit. This painting was inspired by ML (Marie Laurencin) a French painter know for works depicting woman and flowers in pastel colors. Happy Birthday by Helen Frankenthaler. 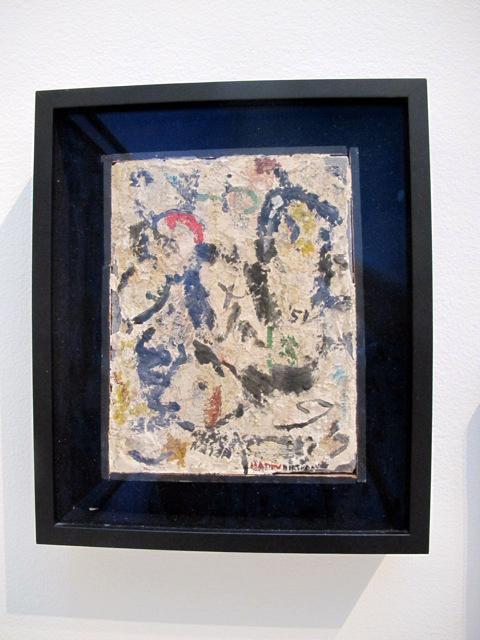 This sweet little piece created by Helen Frankenthaler in 1951 is made with plaster, oil and coffee grounds on board. ‘Venus and Flowers’ by Nell Blaine. 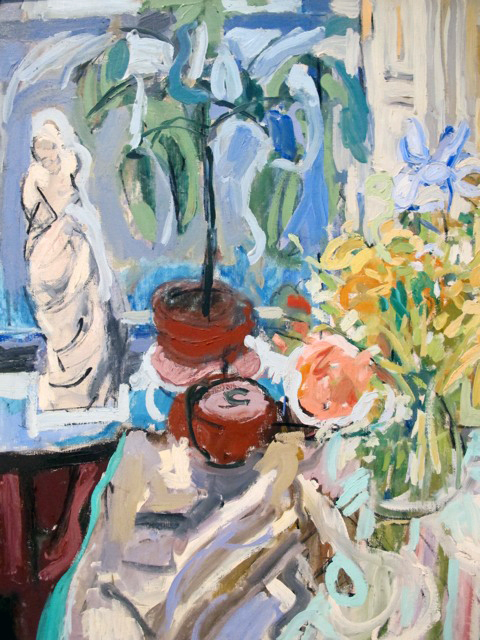 This exquisite painting included in the exhibit is by Nell Blaine (1922-1996). ‘The Sky’ by Jane Freilicher. Abstract painting by Jane Freilicher (1924-2014) is a departure from here typical representational work. Jane and Helen Frankenthaler were friends in the 50s and associated with the Tibor De Nagy Gallery in New York. 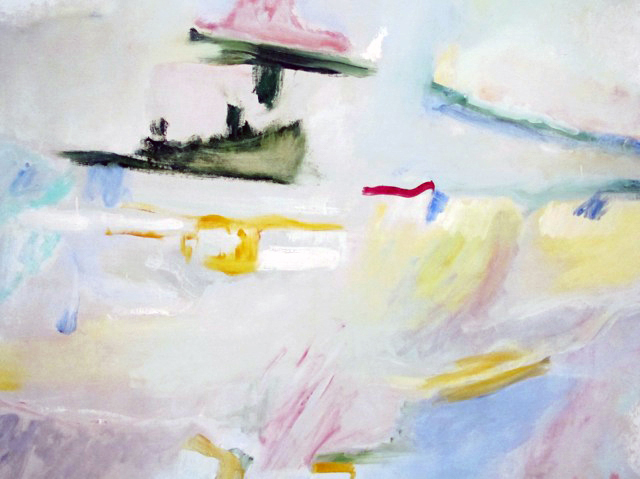 Various artists inspired by Helen Frankenthaler. Walk through the green beaded curtain by Felix Gonzalez-Torres into the Men’s Room where you’ll find two of Andy Warhol’s oxidation pieces from a series that are canvases prepped with a reactive metallic paint surface . Both ‘Untitled’ by Christopher Wool. 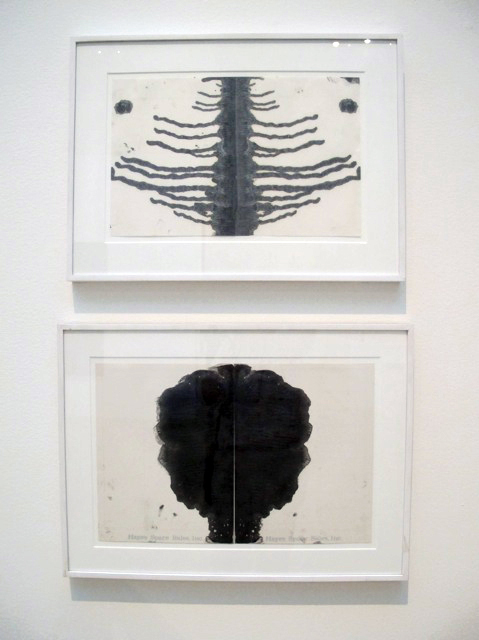 There are a variety of Rorschach pieces on display by Kara Walker, Any Warhol and Christopher Wool. 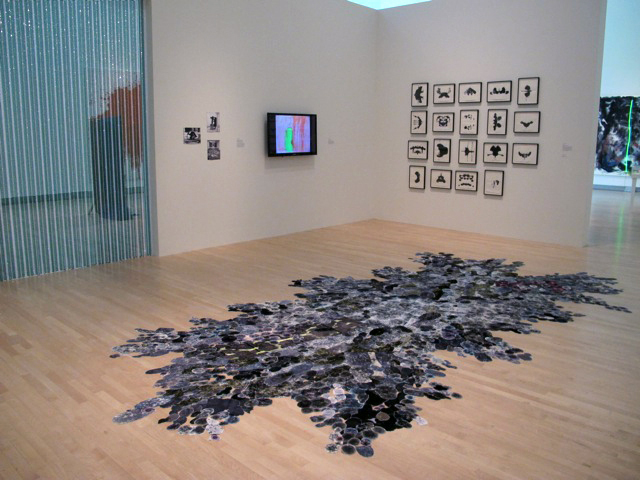 This exhibit is provocative, colorful, textural, decorative with a wide variety of media including collage, painting, video, ceramics and installations. The exhibit remains only until June 7, 2015 and should not be missed. You are currently reading Pretty Raw: After and Around Helen Frankenthaler at donna ingemanson studio.